Zimbabwe’s new President, Emmerson Mnangagwa. attended the World Economic Forum Annual Meeting in Davos. This year’s impressive list of attendees includes over 340 political leaders, CEOs from major multinationals, civil society and international organizations. Mr. Mnangagwa’s attendance has drawn a lot of global interest as evidenced by the extensive media coverage on Zimbabwe. Mr. Mnangagwa is under a lot of pressure to sell his message that “Zimbabwe is open for business” to the global communities who have been eagerly awaiting a post-Mugabe Zimbabwe. The good news is that in his interview at Davos the President made it clear that he is open to scrutiny and is not asking for a honey moon period. The big issues for Mr. Mnangagwa are two-fold; on the business side he has to address trade policies and land reform and on governance he needs to address ZANU PF’s history with violence and the diaspora vote. Mr. Mnangagwa has been in government since 1980 and therefore he must maintain a delicate balance between the more disastrous Mugabe policies and the policies he wishes to continue. ZANU PF led governments have not done well in creating a conducive environment for business. The quality of Zimbabwe’s human capital and infrastructure are not the reason that the former bread basket of Africa quickly became a basket case unable to feed its very small population of just under 13 million people. The main reason why the Zimbabwean economy tanked is political. In 2007, the ZANU PF government introduced the indigenization act which stipulated a 51% local ownership in economic investments. Zimbabwe is not the only country with such a policy but the multiple contradictory statements from the government combined with corruption and rent seeking behavior by politicians made the conduct of business very difficult. In a welcome move, Mr. Mnangagwa said that the policy had been lifted except for diamond and platinum mining. This is likely to excite investors interested in gold, chrome and Zimbabwe’s vast mineral deposits. Land reform is a trickier issue for Mnangagwa but he has thus far handled it well. When asked if his administration is keen on welcoming back white farmers, Mr. Mnangagwa explained that the issue of land is at the heart of Zimbabwe’s independence and that the issue cannot be handled along racial lines. Land polices should aim to provide resources for the best farmers who can effectively contribute to Zimbabwe’s economic growth. In addition to changing draconian business policies, the President, must also address governance issues. If the future of Zimbabwe is held on the shoulders of its young population then the government must speak to the issues that young people care about. The youth care about human rights, they care about freedom of speech and expression, they care about addressing past atrocities and they care about the environment. Global investors have a long list of resource rich countries with terrible human rights records to choose from if their only goal is to make more money. Zimbabwe must stand apart and chart a new pathway for African development. Everything that Zimbabwe has to offer can be found in other countries. Zimbabwe has a young dynamic population but so does Nigeria. Nearly 50% of Nigeria’s 182 million are under the age of 30 and also highly educated. According to a recent Wall Street Journal article, two thirds of India’s 1.2 billion people are below the age of 35. That is an estimated 600 million nearly double the US population. India’s youth are also very educated and ahead of Zimbabwe in technological advancement. In terms of natural resources, Zimbabwe is not in the top ten of resource rich countries in Africa. Botswana has about 35% of known diamond deposits, the Democratic Republic of Congo has at least $24 trillion worth of un tapped natural resources and the real figures could be double that. The DRC has abundant deposits so copper, gold, diamonds, cobalt, coltan (think cell phones) and oil to name just as a few. Tanzania has a impressive natural beauty, well developed national parks, a lot of gold and Tanzanite. This is not say that Zimbabwe’s natural resources are not impressive. They are. Zimbabwe is home to the Victoria Falls, many national parks, it has abundant deposits of coal, platinum, untapped diamond potential, and gold to name a few. The point is that it is not enough to have a lot of natural resources if the government does not address past and present political challenges. From the first day of his presidency Mr. Mnangagwa has been forced to address gukurahundi. His allies have argued that it is not fair that Mr. Mnangagwa should have to address this when the man who signed off on the operation, Mr. Mugabe has gotten away with calling it “ a moment of madness”. Critics of Mr. Mnangagwa argue that he was the Minister of State security and therefore he played an important role. Others point to the inflammatory language he used at the time. The truth is that the massacres were not the brain child of a single person but Mr. Mnangagwa is now the face of the government and it is his responsibility to address this dark time in Zimbabwe’s history. When Joice Mujuru first announced her intentions to run as an opposition candidate and she looked like the most viable person to take over from Robert Mugabe she too was forced to engaged with Gukurahundi. In fact, the state media argued that Joice Mujuru was equally to blame for gukurahundi because of her long history with ZANU PF. Therefore, it is disingenuous for Mr. Mnangagwa to try and distance himself from gukurahundi or to argue that “let bygones be bygones”. 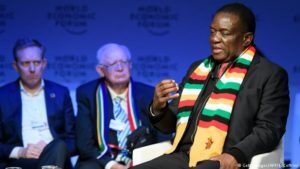 At Davos, Mr. Mnangagwa was asked directly if he will apologize for Gukurahundi. Mr. Mangagwa dodged the issue of an apology and instead highlighted that his government has signed the truth and reconciliation bill. 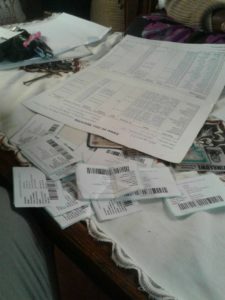 However, a bill is not enough. It is not enough to suggest that the Unity accord of 1986 addressed the Gukurahundi atrocities. It is not enough to say that the past has happened and perhaps we can find a way to have a beer ceremony and move on. There is need for a truth and reconciliation process. It was unwise for the president to dismiss figure of 20, 000 victims of the massacres without providing an accurate figure. Perhaps a more empathetic response is to say that the victims of gukurahundi need just justice, the need a formal apology and that apology should come from his government. In his inauguration speech Mr. Mnangagwa alluded to a new era in Zimbabwean politics, a Zimbabwe for everyone including victims and families of gukurahundi. Allies of Mr. Mnangagwa should also see this as an opportunity for the president to become a hero. If or when Mr. Mnangagwa offers a public apology he will have done something that most leaders are not capable of doing. By availing himself on social media he is already in the right direction. Mr. President, an apology is not a sign of weakness, it is the very epitome of human strength. The world has already seen that you have political acumen – you toppled your mentor in the same breath you gave Zimbabwe its second independence. On the elections, Mr. Mnangagwa is itching to have elections as soon as possible. He is eager to move past the not-coup. Mr. Mnangagwa would like to test his own electability which just a few months ago was quite unlikely. In 2005, Mr. Mnangagwa lost his seat as MP for a small urban constituency in Kwekwe. It is my sense that Mr. Mnangagwa could win in a free and fair election primarily because the opposition is not nearly as organized as they need to be. However, ZANU PF has already begun a terror campaign in high density urban areas and in rural areas. 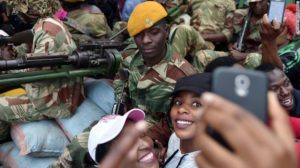 The Zimbabwe Electoral Commission (ZEC) has not responded to numerous citizen reports of intimidation and harassment. To date, the state media continues to operate like the mouth piece for the ruling ZANU PF. There is no coverage of opposition rallies or meetings. The press is still far from being independent. While the president has invested a lot of time courting western investors he should also pay attention to Zimbabwean and other African investors. The actual numbers of the Zimbabwean diaspora are unclear but estimates range between two and four million. Zimbabweans in the diaspora want to vote. 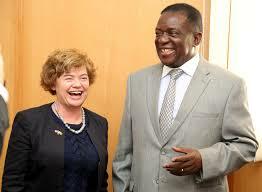 In his WEF interview Mr. Mnangagwa indicated that elections will likely happen in March. This move is very unfair to the diaspora which is already marginalized because there are no registration centers abroad. There is no reason why Zimbabwe has not created conditions to allow for the diaspora vote. The President argued that a diaspora vote is expensive but he has also indicated that they have recovered millions in looted funds. The government should also think of the diaspora vote as a long-term investment. Citizens living abroad are more likely to invest in the home country if they have a say in the politics. The Zimbabwean diaspora remits almost $4 billion annually. They are also willing to take investment risks that western donors may not be eager to make. As President Mnangagwa continues to engage the global community he will be asked tough and very uncomfortable questions. It is a good sign for Zimbabwe. The president should work with his subordinates on creating an open and welcoming political climate at home. He has inherited a country hungry and impatient for change on all fronts. Chipo Dendere Explains position on Sanctions.